Improve your French and discover French culture as you experience all that France’s capital has to offer. Your French teacher Françoise will welcome one lucky female guest in her typical Parisian flat. You’ll live completely immersed in French language, learning French and living like a typical Parisian. Practice your French on the streets of Paris while visiting some of the most significant museums – and enjoy the best food and shopping in the world. My name is Françoise, I’m a native Frenchwoman but I’ve traveled to many places in my life. In 1978, I lived in New Orleans (and taught French there), and in 1982 I lived in Indonesia and then travelled throughout Asia. In 1985, I came back to Paris and received a teaching degree from La Sorbonne (Master in Teaching French as a Foreign Language). I’m fluent in English. Ever since, I have been teaching French to students of all ages, levels and nationalities. I love Paris, and am still discovering hidden places I will be happy to show you: The city of light has a lot to offer to people willing to explore it! My Parisian flat can only accommodate one guest: so only you will share my everyday life. Unfortunately, as a woman living by myself, and because we’ll share one bathroom, I am only comfortable hosting women. Sorry gentlemen! I am also more comfortable hosting students who are already conversant in French: so intermediate level, B1 and above. 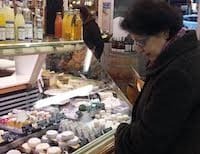 We’ll go to the market and cook together, I’ll show you how to shop like a Parisian… if you want I’ll take you to the flea market and teach how to bargain, and many other things in French. Before the outings we’ll study the specific vocabulary and grammar, and role play the situation so you’ll have the confidence you need when you interact with French people in the streets of Paris. I live in the heart of the Batignolles, in the 17th “arrondissement” (district) of Paris. The picture below is taken two blocks away from my street! Located between “Montmartre” and “Les Champs Elysées”, this “quartier” (neighborhood) is perfect to visit Paris. The métro station “Rome” is right at the end of my street, 2 minute walking distance. The Batignolles neighborhood has changed a lot since I moved in 25 years ago! It’s now very trendy, much younger than before, full of restaurants, cafés, shops and boutiques. 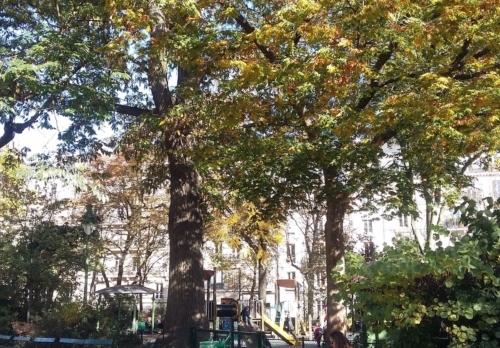 The square des Batignolles is two blocks away, and the peaceful Parc Monceau is also within walking distance. La Place de Clichy is a 10 minute walk away, and if you keep going, then there is Pigalle, “Le Moulin Rouge” and “le chaud Paris”… but it’s quite far from us. 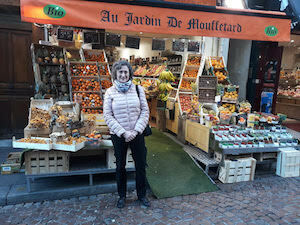 As a matter of fact “mon quartier” is like a small village, with lots of bakeries with fresh breads and beautiful pastries, traiteurs, groceries stores and small supermarkets; there’s also a market open six days a week with all the fresh food you can dream of. It’s a very safe neighborhood, because it’s residential, however, it’s not very well-known to tourists: so you’ll be surrounded by real Parisians. I promise you will experience daily life like true Parisians live it. 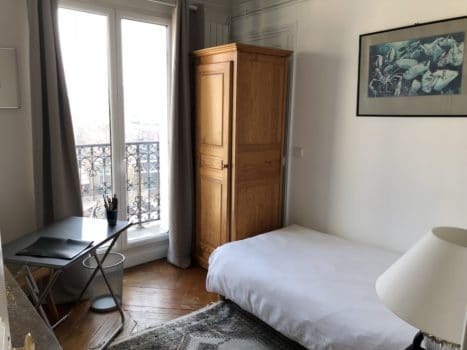 My apartment is a typical Parisian flat: located in a traditional Haussmanian style Parisian building with a balcony, it’s not very big but it’s perfect for two people: you and me! Now, like many flat in Paris, there’s no elevator. And my flat is on the French “fifth” floor : 5 floors up from the street level. So, it involves a bit of exercise (which will be a good thing after all the fantastic French food you’ll eat!). Because it’s high up, there is a nice view of the Parisians rooftops, and it’s full of light. As you can see, there are wooden floors throughout the apartment, big French windows and each room is furnished with a mix of antiques and modern furniture for comfort. There is a small kitchen and I enjoy cooking, mostly traditional French foods. I like to cook with fresh produce I buy in the neighborhood boutiques or the market. I will be happy to cook vegetarian food (I was a vegetarian once, although I did eat fish). Unfortunately, I’m not familiar with vegan enough to feel comfortable cooking vegan for my guest. If you have a special diet, please let me know when you contact me. There are so many affordable restaurants around my house so you can easily eat out. When you are in Paris, you can really enjoy all kinds of foods! Your room is small but comfortable and has a desk to study, a full size (one person) bed with a bedside table, a large drawer case and an armoire. The plus is the very large window overlooking the Paris’s rooftops, the balcony and the view – you can’t get more Parisian than that! 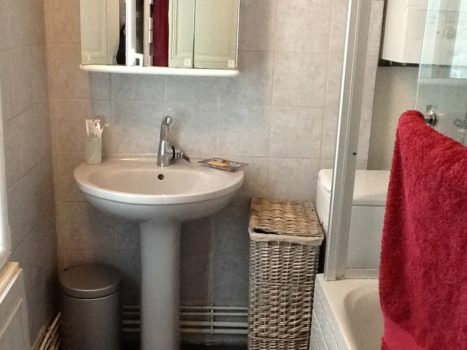 As in most Parisian flats, there is only one bathroom with a tub / shower combined. So you and I will share it. There is just too much to say about Paris. So many places to visit. And you’ll be living in the heart of it all. The closest métro stop is on line 2, and it’s direct to Champs Elysées or Montmartre! Paris is just there, at your fingertips. As I said before, I can only welcome one female guest in my apartment. We will share the bathroom. My flat is located on the French 5th floor, 5 floors up from the street and since we’ll either walk to our various excursions or take “le métro” (with its numerous stairs and sometimes long transfers), my students can expect to do a healthy amount of exercise! I’m happy to cook vegetarian however I don’t think I could handle vegan. I don’t have pets and unfortunately cannot welcome them. I don’t smoke and smoking is not allowed in my apartment. There are so many things to do in Paris: you will also have your own agenda and use your free time to explore this gorgeous city. If you plan a trip outside of Paris and would like to move lessons around, I’ll be happy to adapt my program according to both our availabilities: I can also give you more or less homework: you’re the boss. There are also many good and affordable restaurants all around my place: another perk of living in Paris – and Parisians do go out quite a bit! Being inside Paris itself means you can enjoy all the public and private transportation options: the métro is just nearby, so is the bus stop. You can rent a velib (bike) if you are feeling adventurous, or simply get an Uber. In any case, do pack some good walking shoes: one always end-up walking quite a lot in Paris! 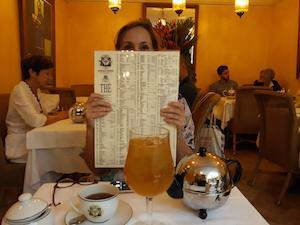 I’m looking forward to meeting you and sharing a typical Parisian routine with you. Follow Françoise’s Bilingual Articles On French Today, Where She Talks About Her Beautiful Region. I had the most wonderful time in Paris. 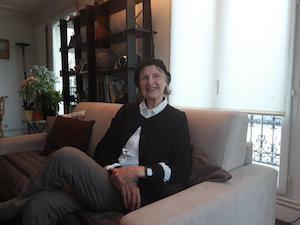 Francoise’s thoughtful hospitality and the beautiful apartment at Batignolles made me feel at home right away. I loved Paris with all the museums and amazing sights. However, best of all I liked the lessons. Francoise is such a stunning teacher! Clear, perceptive, full of phantasy, funny and extremely well prepared for each of the lessons – just outstanding! 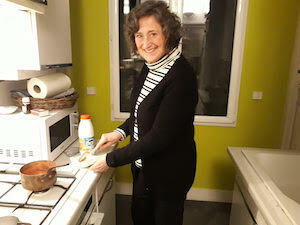 I spent a week of French immersion at Françoise’s cozy flat in “Les Batignolles”. The surroundings are really nice, lively yet relaxed and not at all touristy. Each morning or afternoon I had either language lessons or an excursion to interesting places a bit off the beaten track. The rest of the day I could spend as I pleased, and even though I know Paris quite well, Françoise was able to give me suggestions for new places to discover. Françoise is a patient teacher who quickly discovered my linguistic difficulties! And I really enjoyed her delicious cooking! In summary, a very nice « semaine parisienne »! I am learning French for work and spending the week with Francoise has really helped me advance my French. The lessons focused on areas I need the most one to one development including grammar and pronunciation and in particular gave me more confidence in speaking French. I enjoyed my excursions around Paris with Francoise, they were really fun. Also her apartment is very centrally located so I was able to use my spare time to explore Paris and practice my French! Francoise was incredible! She was such a wonderful teacher and she made my experience the highlight of my year. She’s amazing and I know I made so much progress during my time with her. She’s passionate about Paris and knows the city so well. Her apartment is beautiful and in a great location, the neighborhood is vibrant with shops, markets and cafes. With a metro station just a couple blocks away and a bus stop right outside her building, the entire city is easy to navigate! Francoise encouraged me to speak and listened to my French, then she made sure during each lesson we worked on things I needed help with. She was patient and encouraging while making our lessons fun, and interesting, mixing in French culture and figures from history along with some entertaining stories, she made each lesson a worthwhile experience! My conversation got better each day as we talked about our days and what we had done during an excursion or what I’d done on my own. It was the perfect mix of very real, useful instruction and then putting the lessons in use during my time in the city. It rained one day and we were supposed to go to visit a cemetery- way too cold and rainy. 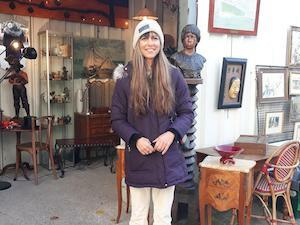 She improvised and took me on an adventure to a French auction house! It was a great way to see something VERY interesting and to get used to hearing lots numbers and admiring some museum quality paintings and furniture. It was a fun, educational and truly unique experience! Francoise has such a wonderful sense of adventure! Her suggestions for things to do were amazing, she knows what’s going on in the city and what might be different and intriguing for her students! The two meals per day were always beautifully presented and she is a wonderful cook! Francoise is truly an incredible teacher, a world traveler, she’s someone with intelligence and a great sense of style. 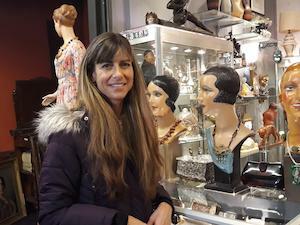 I feel like I made a wonderful friend in Paris and discovered some interesting things off the beaten path, all while improving my French language skills! My week of French immersion with Françoise was a fabulous experience. I feel like both my understanding of the French language and my facility in speaking have had a big boost. 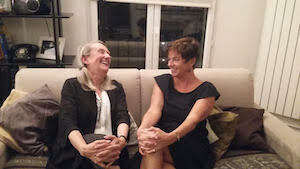 From the moment Françoise welcomed me to her lovely apartment I was thoroughly immersed in speaking. However, she made me feel right at home; her apartment and neighborhood are exactly as she described them, she is a gracious and friendly host, fabulous cook, and fun to be with. Françoise set high standards for my daily three-hour dose of intense study. She quickly determined my fluency level and my weak points. By the end of the week, I not only felt more confident in speaking but gained a better understanding of what I need to do as I study on my own. Even though I didn’t suddenly become a fluent speaker of French, Françoise has given me the tools I need to continue to improve. 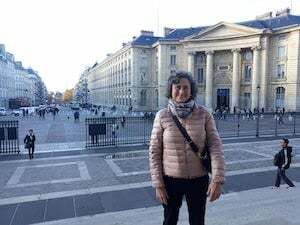 In addition to the formal study, Françoise helped me feel comfortable moving around the various arrondissements of Paris on my own, by bus, metro or “à pied”. During my free time, and with her good directions, I was able to visit several private museums many tourists never see. She also helped me discover how to get tickets for two very popular sites, the Fondation Louis Vuitton and the Atelier et Lumières exposition. 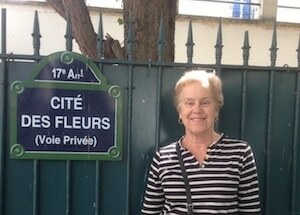 In addition to our initial tour of the Batignolles quartier, Françoise proved to be an excellent guide as she led me through parts of Paris I had not visited on previous trips. 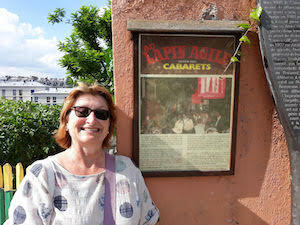 As we walked through Montmartre, she provided history as well as a look at the non-touristy parts of the quartier. On another excursion we visited the Latin quarter, the Panthéon, the beautiful église Sainte Geneviève, and due to Françoise’s expertise, we were able to get a personalized tour of the law library. She gave me good ideas for some things to see during the few extra days I stayed after the immersion week, including finding an atelier for French cuisine that offered short and inexpensive classes, all in French of course. For my last night, Françoise invited a delightful friend to join us for dinner and conversation. Françoise prepared the main course, a delicious dish of ham and endive that required a béchamel sauce which I got to prepare. It was a perfect end to a very special week. My stay with Francoise went beyond my highest expectations! From the moment of my arrival until my sad departure, she gave her all, going out of her way to create a truly memorable experience that was tailored to both my interests and my level of French. We spent the first afternoon getting to know each other a bit and planning the week—what I hoped to see/do in my free time, what areas in my French I wanted to improve/work on—and it was such a pleasure. Francoise is so welcoming and charming, I felt at ease right away! Because she knows Paris extremely well, she was able to recommend super interesting visits that I am sure I wouldn’t have found otherwise. (The Gustav Klimt exhibition at the Atelier des Lumières was magical!) Of course, she did this while quietly making little notes of areas in my French that needed revision, so she could make the most of our lesson time together. As a hostess, Francoise is thoughtful and accommodating, always aware of the needs of a visitor. She is also such fun, with a great sense of humor and plenty of energy, ready to take advantage of every opportunity for a new experience and full of spontaneous, relevant suggestions. We went to the cinema for a recently released film on the French Revolution after a visit to Printemps’ Gastronomy department—and a glass of red wine and creamy goat cheese on the terrace overlooking the city; we went to the new exhibit at the Conciergerie, where we floated through rooms with “histopads” that let us envision the space as it once was; we even found our way into the Palais de Justice, where we were able to sit in on a criminal trial, with judges and lawyers in glorious robes from another era—fascinating! ; we spent an afternoon in Belleville, where we had a beautiful Thai meal, strolled through the park (with yet another spectacular view of the city) and wandered the area’s picturesque alleys, visiting local artist studios and peeking in the many cafes and gardens—and of course, visited Edith Piaf’s birthplace. We saw a lovely, quiet side of an otherwise busy Montmartre, an undisturbed section that I never knew existed. 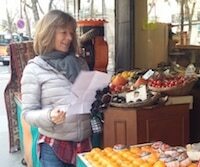 She even designed a special walking tour of the 9th arrondissement when I mentioned that I was interested in exploring the quartier. As a professor, Francoise is so talented—clear, perceptive, patient, and extremely thorough, always ready with the perfect lessons and papers to explain whatever we might be studying. 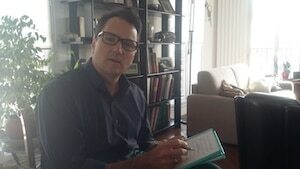 Apart from specific lesson time, the days offered countless opportunities to improve my French in real time and in real situations, with Francoise there to answer my questions as they arose—everything from nuances in the meaning of a word or phrase to fine points in grammar and, of course, pronunciation. My French, including and especially my speaking comfort, improved incredibly during the week—and we had such a good time, so many laughs, throughout the process. I also cannot say enough about Francoise’s apartment, which is beautifully appointed, with so much light—the 5th floor, with a balcony, from one end to the other, overlooking the area’s streets and rooftops . . . well worth the very easy walk up! I adored my bedroom—so cozy, with plenty of space to put away my things and, of course, also with a balcony view, which was my favorite start and end of day! The Batignolles area is an oasis, a seeming village apart from the tourist throngs that sits in the center of everything. The Metro is two blocks away, and the bus stop is directly in front of the building. And, with Parc Monceau a stone’s throw away, I started every day with a beautiful jog through trees, historic ruins, and gardens. I have to add that Francoise is also a very good cook, and we had many delicious meals, including thoughtful surprises of my favorite dishes. 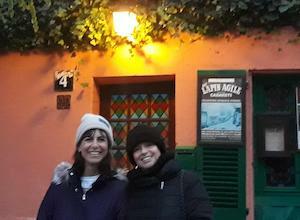 One night, she invited a friend to dinner, and we had a terrific time, one that gave me the chance to practice my French and make another friend! In short, I recommend, without hesitation, an immersion stay with Francoise! I have been to Paris several times, but my Immersion holiday was my best visit of all. It was the perfect combination of instruction and exploration, and gave me the opportunity to get an insider’s view of the city and visit places that I never would have experienced on my own. I could not have asked for a better hostess or instructor than Françoise. I was quite nervous about my French skills, since it has been a very long time since I studied French in high school, and I only recently started studying it again independently (using the French Today audiobooks). But Francoise was extremely patient and flexible and knew just how much to challenge me. She was also simply a delightful person to spend time with. We had about three hours of formal instruction each day, which sounded a bit intimidating at first, but ended up being a perfect amount. Françoise provides a lot of variety in the assignments and incorporates fun elements like videos, pop songs, and field trips with “homework.” I learned a lot, identified my most critical areas for improvement, and had some good laughs together along the way. 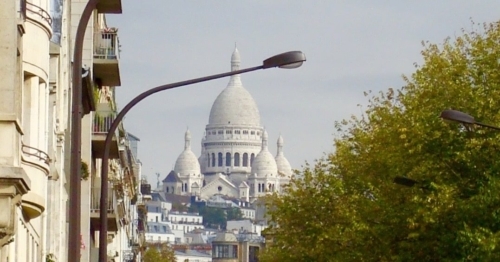 The excursions that Françoise coordinated to Montmartre and the Marias district were highlights of the trip. 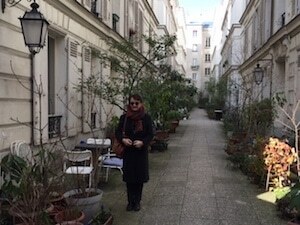 It was a real treat to go “off the beaten path” in Montmarte and visit the quiet residential neighborhoods and beautiful parks just a stone’s throw away from the hustle and bustle of Sacre Coeur. In Marais, we visited a wonderful mix of art galleries, parks, and historical attractions, but I have to say that the culinary delights stole the show. 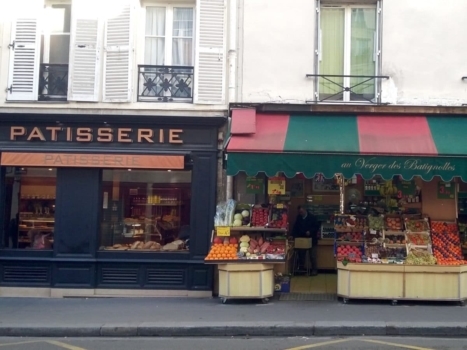 We visited the Marché des Enfants Rouges, which has a mouth-watering selection of small restaurants and fresh produce, and an exquisite chocolate shop that has operated since the 17th century! Along the way, Françoise provided interesting anecdotes and historical facts, and pointed out all the best views, cafés, and hidden gardens. Françoise’s flat is in a perfect location for exploring Paris. Her neighborhood is quite trendy and lively, with lots of shops and restaurants. There are also some lovely parks nearby, full of families with young children – with hardly a tourist in sight. Yet the neighborhood is also conveniently located within walking distance of Montmartre and a short bus or Metro ride to Paris’s main attractions. If all that wasn’t enough, Françoise is also an amazing cook and prepared several delectable meals for us to share. It’s a good thing that I had those steps to climb to her apartment at the end of every day; otherwise, there is no question that I would have come home several pounds heavier. I cannot recommend Françoise highly enough, and I am already thinking of returning to do another immersion program with her next year. This summer I decided to have a true language immersion experience while exploring different regions of France. I have always been amazed by the diversity of the country. The network of French Today teachers allowed me to combine my two objectives – to improve my French and to visit different parts of the country. Although this was not my first visit to Paris, staying with Françoise opened new aspects of Parisian life to me. We started with a walk through her lively neighborhood. 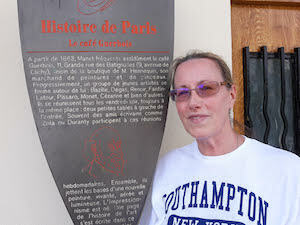 Throughout my stay, Françoise introduced me to “Paris off the beaten path” even in neighborhoods frequented by tourists. She also found independent outings for me where I could practice French. Françoise uses fun assignments and exercises that allow you to practice spoken as well as written French in an efficient way. One evening her friend came over for dinner. It was fun and useful to be able to speak French in an informal friendly setting. 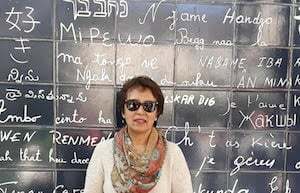 I now feel much more comfortable in expressing myself in French, going on guided tours in French, answering questions of lost francophone tourists – in French – and navigating both the metro and bus systems in Paris. I fully recommend an immersion stay with Françoise. I really enjoyed my ‘French immersion stay’ with Francoise. She is very professional, kind, cheerful, enthusiastic and has lots of energy. She made me feel at home straight away and suggested many wonderful places to visit. Her apartment is very nice indeed with plenty of light and perfectly comfortable. Batignolles is a superb part of Paris and the surrounding streets were full of interesting cafés, restaurants and shops. 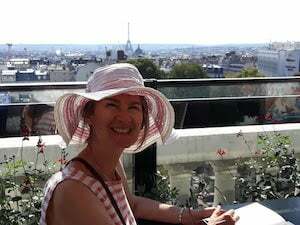 Paris is simply fabulous – I did a lot of exploring on my own but Françoise also took me on a couple of guided walks which were fascinating – she has a contagious love for her city, culture and language. Françoise is an excellent teacher and has a lot of patience, she knows exactly what grammar needs to be worked on. She joined me at a lovely local fish restaurant (Chez Simon) on my last day and invited a friend round for supper which was very enjoyable. What a wonderful educational and « amicable » experience in Paris it has been! 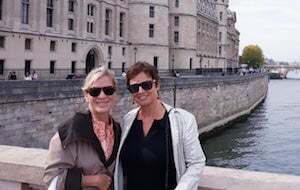 Not only did Françoise help guide me in my continued learning of the French language, but she afforded me with opportunities to see and experience parts of Paris and life in this amazing city that were previously unknown to me. 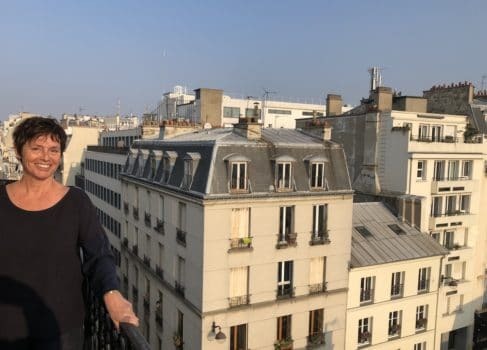 She welcomed me into her apartment home in the Batignolles district with its friendly village-like atmosphere and quickly assessed my particular needs and interests. She is also a wonderful chef and I ate extremely well! 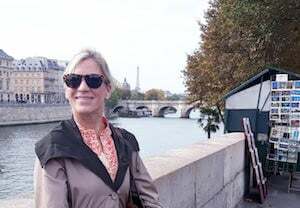 I had been to Paris several times over the years but under her expert and energetic guidance I became more immersed and felt more “in touch” with aspects of the culture than I have ever been before (as a simple tourist). Also I am now more aware of where I need to focus in order to bring my ability to speak French to the next level. I look forward to continuing to practice and learn more French and return in the future. There is a bus stop right outside the apartment and with Françoise help it was easy to navigate through the city to any destination. 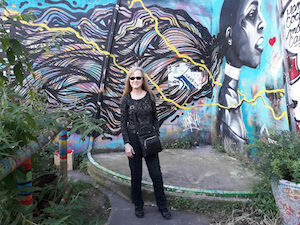 We walked around Batignolles and Montmartre and as I had visited Paris before Françoise made a special effort to take me to places that I hadn’t been to before. Françoise is an excellent teacher and the lessons focused on my needs and at the end of the week my confidence had improved significantly. An unforgettable experience I would recommend to anyone. It was an amazing, confidence building week with Françoise. She is an amazing teacher with incredible enthusiasm and energy. I was expecting a week of intensive and challenging French conversation and grammar and Françoise did not disappoint. She helped me with commonly made errors and was equally encouraging. I also enjoyed her delicious French cuisine (which were healthy as well) and the excursions to charming neighborhoods I never would have discovered myself, especially in her Batignolles area. It was a memorable experience and one which I would love to repeat. I went to France to revive my decades old French, learned at University. Studying with Francoise turned out to be a wonderful learning experience for me! I had never participated in an individual immersion program before and I found it to be the perfect learning environment for me. What I loved most as a student: We were able to focus on the elements of grammar and conversation that I most needed; I got so much speaking and listening practice; I was constantly hearing everyday French in a French accent. Francoise is a warm, friendly, and active woman and a wonderful teacher. She welcomed me to her home, showed me around her neighborhood, and provided delicious meals and fun and instructive outings. She quickly perceived where I most needed practice. Everyday she gave me interesting. innovative, and effective exercises to improve my grammar and spoken and written French. She tailors the week to each student’s interests and needs. She is very patient and has a good sense of humor! It’s easy to see that Francoise loves Paris. She lives in a lovely apartment with great views in a charming section of town. 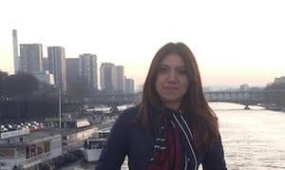 She’s extremely knowledgeable about the history and cultural events in the city and always eager to help with arranging visits to events and attractions. 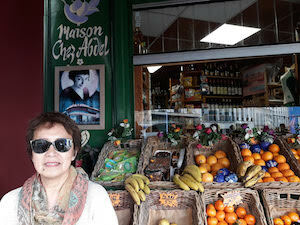 On our excursions, on foot and by bus and metro, we visited non-touristy parts of Montmartre and the Marais. One night we attended a theater performance. And she even helped me with some tedious (but interesting) research I wanted to do while in Paris. I highly recommend the French Today immersion program and Francoise’s program in particular. Spending a week in April with Françoise was heavenly. I had made the reservation in September as it is one of the most desirable French Immersion programs available and becomes booked quickly. I was extremely fortunate that summertime weather arrived with me after many cold, rainy days in New York. It was my fourth time in Paris with a gap of 26 years! I had also lived in the French West Indies but so many years ago. The Batignolles district is flourishing with spectacular parks, charming restaurants, boutiques, the organic market, so much to do! When dining in, Françoise will spoil you with her incredible cooking and the morning French lessons are wonderful. The apartment is very elegant and beautiful with superb panoramic views and brilliant light. 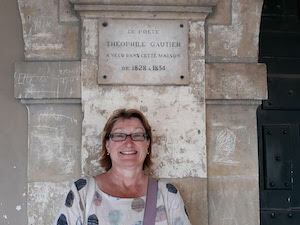 Françoise has incredible energy and is extremely knowledgeable about the history, culture and best attractions of Paris. We covered so much territory that it’s difficult to believe that it was just one week. 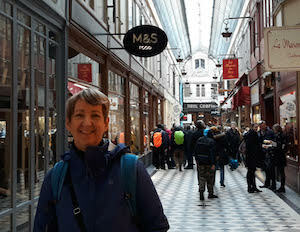 We went all over Paris on foot, yes you will exercise those calories off, and by bus. I learned so much about getting around and where to go, making Paris even more pleasurable! After just a few days with Françoise, I knew that I was making progress, with Parisians asking me questions in French and my being able to respond and to be understood. Thank you, Françoise for waking up and improving my French. The entire experience and guidance has given me great confidence to return to Paris in the future and to live like a true Parisian! 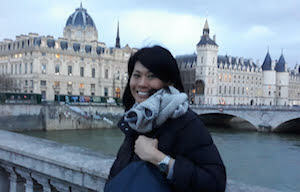 My French Immersion stay in Paris with Françoise was a wonderful and memorable experience. 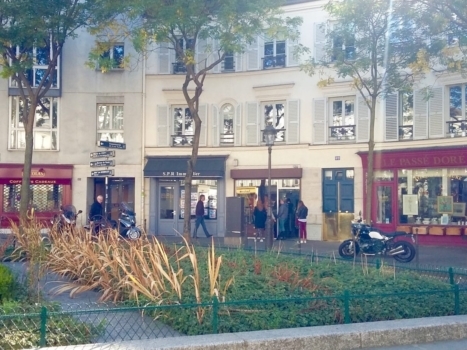 The Batignolles neighborhood of Paris is charming with easy access to all of Paris. 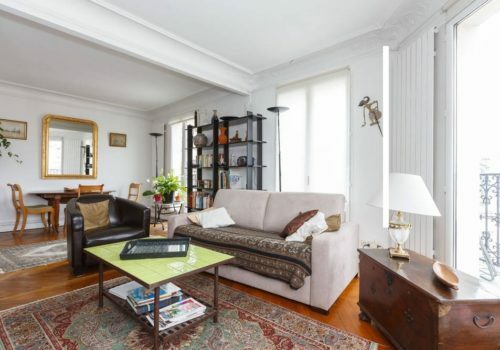 Françoise’s flat is elegant and comfortable with stunning views over the neighborhood. Françoise is warm and welcoming, and I felt immediately at ease. 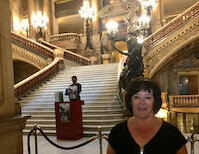 Françoise knows and loves Paris and we had delightful excursions rich in experience and in French language and culture. Françoise is an excellent French teacher. I have an unusual background in my French training, and she tailored our lessons and conversation to fit my particular strengths and gaps. A talented cook, Françoise prepared delicious meals with the freshest ingredients from the nearby markets. A truly delightful and enriching experience, I hope to return again someday soon. 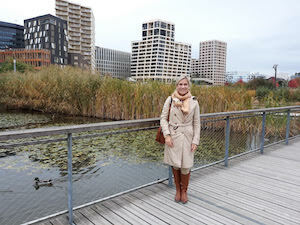 I stayed at Francoise’s apartment for a week in March and thoroughly enjoyed the whole experience ! 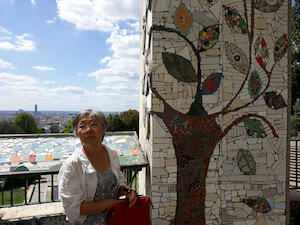 Her apartment is cosy and comfortable and offers a beautiful panoramic view of Paris’s rooftop. Francoise is a very professional and patient teacher. She quickly identify my areas of weakness on my first day of arrival and designed exercises and lessons to deal with them during the week. Majority of the time, we spoke French and Francoise was always quick to correct me. I found these daily french conversations really useful and my confidence has definitely improved ! Francoise is a good cook too. 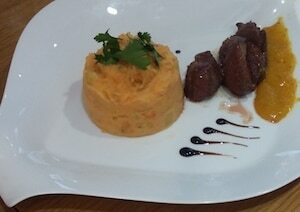 One of the nights, she made a beautiful duck dish and invited a friend to dine with us. It was a fun evening with plenty of laughters and French conversation ! 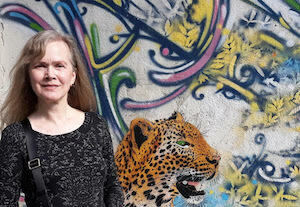 On my first day of arrival, Francoise showed me around the neighborhood of Batignolles. 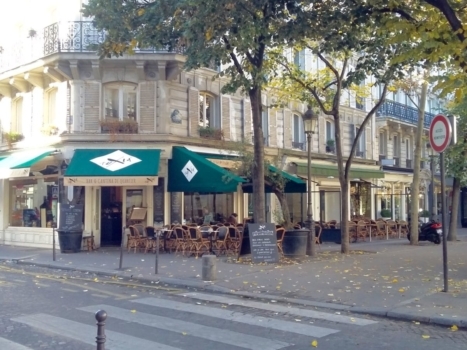 It is a beautiful neighborhood with plenty of cafes, bistros, groceries stores and boulangeries. As it is a residential area, I had the opportunity to use my French while shopping for groceries or going out for meals . There is also a bus stop located outside her apartment and a metro station just walking distance from her apartment. Excursions were fun ! Francoise is very enthusiastic to show me the lesser known places of interests to tourists in Paris, which I really enjoyed. We went everywhere on foot and buses like the locals! We visited Le Marais, Montmartre and even attended a concert at La Sorbonne. We also had a fantastic impromptu late lunch at Le Marche Des Enfants Rouges. Staying and studying with Francoise, has helped boost my confidence to converse in French and also gain better understanding of French grammar skills. Thank you , Francoise for all your effort and time. I have enjoy my stay with you and learn a lot . 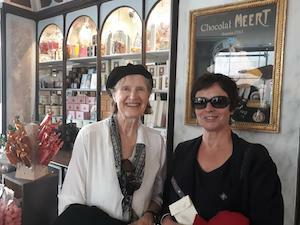 I spent a week of intensive French in Paris with Françoise which I enjoyed immensely. 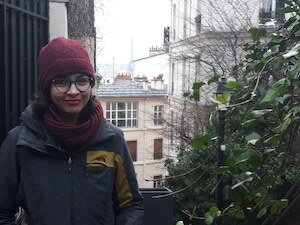 Her apartment is very comfortable – warm and cosy during a bitterly cold, snowy period – and I loved the Batignolles quartier which was new to me, off the tourist map but charming and lively. There is a bus stop at the front door and the Metro is only a few minutes away. The formal lessons I had with Françoise were most useful. She quickly identified my various weaknesses and designed the lessons and exercises to deal with them. However I think it was our informal conversations which helped me the most, including those over Françoise’s delicious homecooked meals. The atmosphere was relaxed and Françoise was easy to talk to, patiently correcting my mistakes without interrupting the flow. We combined my intensive French learning experience with some great excursions to Montmartre, Belleville, and the Musée des Arts Décoratifs, with an unexpected bonus of hearing Placido Domingo in La Traviata at L’Opera Bastille. The course was an excellent combination of enjoying Paris and improving my spoken French – I hope to do it again one day. 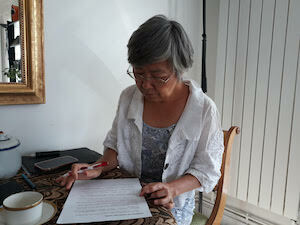 I stayed at Francoise’s apartment for a week in January and I absolutely enjoyed my stay. It was an experience I will cherish a lifetime and I’m so happy I signed up with her for my first trip to Paris! Francoise is amazingly friendly, professional, and an excellent cook! Plus her apartment offered the perfect location for anyone visiting the city specially for first time visitors! I absolutely loved the excursions planned for my one week-stay, as well as the language sessions we shared over breakfast. Francoise was also nice enough to help me get my one week metro-pass, and thanks to her help, I was quickly able to learn navigate through the city with little effort. I highly recommend signing up with Francoise, she shares not only the language lessons but also lets you experience general costumes, mannerisms, history, as well as enjoy her lovely apartment and wake up to warm cup of coffee with lovely views! I definitely recommend her and I welcome the opportunity to come back and stay at her place sometime in the near future! 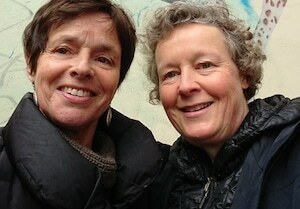 My week in Paris with Françoise was fantastic. From our first sentences exchanged, Françoise kindly corrected my grammar and aided me with my word choice. We rarely spoke a word of English, only to assist in my comprehension, and hearing the constant and consistent French was one of the key aspects to improving my French during the week. 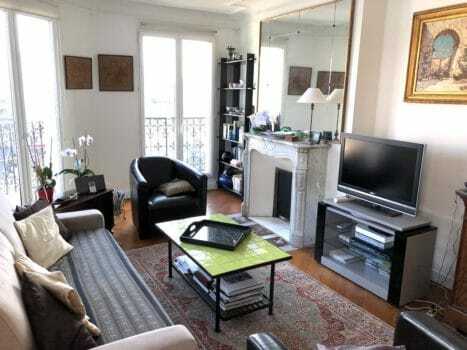 I found the apartment in the 17th arrondissement with ease after taking the RER and metro from CDG aéroport. The neighborhood of Batignolles is extremely Parisian and non-tourist, so it was a perfect location for immersion. My studies with Françoise included vocabulary and grammar equivalent to my level of knowledge. Not only did we delve deep in regards to my particular needs to becoming fluent in French, we focused on vocabulary that will assist me in my career as an international flight attendant. 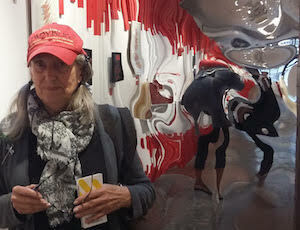 Françoise encouraged me to attend cultural events and activities while in Paris. 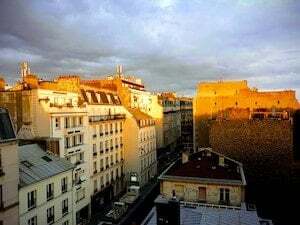 Although it was not my first time visiting La Ville Lumière, I enjoyed getting to know better areas like Le Marais, Montmartre, Batignolles, and the first, fifth, and eighth arrondissements. I also visited Musée D’Orsay and Fondation Louis Vuitton, and went to a tap dance spectacle which was truly entertaining. Françoise took me to a French cooking course one day and I found it extremely compelling and useful. I learned how to cook a fabulous dish and got to discuss the cooking process and delicious taste with other Francophones. We cooked duck, something I hadn’t eaten before. I also tried rabbit, le lapin, for the first time chez Françoise. She invited a friend for dinner that night and it was great to speak French with someone else in a relaxed environment. Françoise always cooked delicious meals and had breakfast and American-style coffee ready for me each morning. I greatly enjoyed my week and Françoise made me feel comfortable and at home. She is an active and outgoing woman who isn’t afraid to speak her mind. She is a fabulous teacher! My French comprehension improved immensely after 7 days and the content studied in her courses was incredibly useful to me. Note from Camille: Françoise is only comfortable hosting a woman student full time: Max stayed in a nearby hotel but still spent a lot of time with Françoise. The teachers I recommend strive to find solutions! What a wonderful experience studying with Françoise! Her experience as a teacher makes her a standout professional, and I made huge strides during my week in Paris. 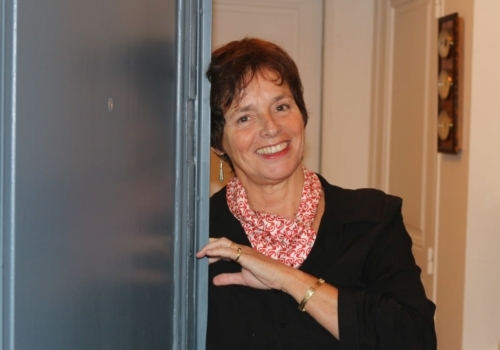 Beyond just being a great teacher, Françoise is a charming hostess who welcomes her students into her lovely home. I already miss the 17th arrondissement, among the other “hidden gems” in Paris which we toured. I’ll definitely be back. Merci, Françoise! Je te remercie infiniment, Françoise, pour le séjour d’immersion de 15 jours. La liste est longue. Je te remercie pour ta gentillesse, ton énergie, tes histoires, ton esprit fort, et surtout pour tes leçons si bien conçues. Je suis reconnaissante de ton aide avec toutes mes fautes de grammaire et de prononciation de ta belle langue. J’ai passé des bons moments avec mon amie dans le 5ème arrondissement. J’adore ce quartier, en dépit des visiteurs qui parlent anglais. Quel contraste avec ton quartier, si tranquille et authentique. C’était un grand plaisir de visiter les quartiers de Paris inconnus à moi : les Batignolles, Belleville, le canal Saint-Martin, La Villette … Je n’oublierai jamais le concert de l’Orchestre philharmonique de Radio France. Merci pour toutes les visites guidées aux lieux parisiens insolites. Les photos que tu m’as envoyées faisaient une belle surprise à Wayne. Je vais rester en contact. Ne jamais dire jamais! Never say never! 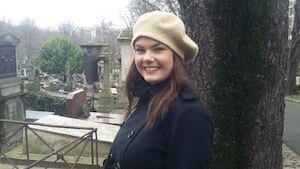 I always wanted to spend a week in Paris speaking French and living like a Parisian! Well I did it! Living with Francoise was so much more than what I thought it would be. Yes, she has a lovely apartment in the quiet, but convenient 17th arrondissment. Yes, she lives on the 5th floor, and so there are a lot of stairs to climb. Yes, she is a great teacher and wonderful cook! But the experience with Francoise was so much more! Francoise treated me with all of the thoughtfulness and patience of a good friend! After 21 years of being a teacher I loved being the student. Francoise started by showing me the general plan for the week, and so I had a good idea from the beginning what the week would look like. We had four delightful mornings of instruction. She immediately grasped my level of French and she had very interesting and appropriate lessons that allowed me to learn new material that I was ready for and to grow in confidence. She constantly encouraged me and praised my small steps forward. Our outings were great fun! What could be better than to have a one-on-one tour guide who was not only knowledgeable but enthusiastic about what we were seeing. We even had an impromptu outing one evening on the left bank where we wandered through streets rich with history. We had dinner at a restaurant that “has not accepted credit cards since 1845”. My own outings were always a success thanks to Francoise’s help in planning them. She had suggestions for where to go, what to see, and how to get there. I felt so lucky to see a lot of wonderful places where most tourists never go. It was so easy to catch a bus or hop on the Metro thanks to her detailed instructions. I also did a lot of walking, which allowed me to rationalize my daily croissant! I feel like I got the best of all worlds with Francoise. I was seeing Paris through the eyes of someone who has lived there for many years. It was like a “behind the scene” tour of Disneyland where you get to see how the magic happens. And in Paris the “magic” happens, not at the big, touristy sites, but in the day to day lives of the people who live there. Merci, Francoise, for bringing this city to life for me! 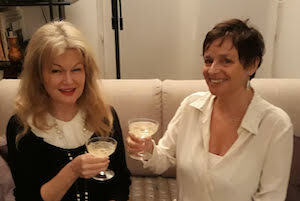 I enjoyed two wonderful, exciting, amazing and jam-packed weeks with Francoise in Paris. Her apartment is open, sunny and beautiful, and very clean. My little bedroom had plenty of storage and a comfortable bed (and 2 down pillows!). I loved the panoramic view from the 5th floor! nal seasonings and spices. If you enjoy cooking, you will learn from her. The dishes were substantial and satisfying, and kept me going all day. Francoise is an excellent teacher. She quickly ascertained my levels in all aspects of spoken and written French. She adapted her instruction to incorporate my learning style. She also knew how to push me just enough so I learned as much as possible but was not overly frustrated. I was nervous at first, but did relax into the routine of the lessons. Francoise is relaxed and positive, and the 3- hour lessons actually flew by. Most importantly, we had FUN! Excursions with her were entertaining as well as educational. Taking refuge in a cafe for a few hours during a downpour with a wonderful waiter who was soooo French; concerts, cemeteries, markets, shops, non-tourist areas, rappers and street art–so many fantastic experiences. We had dinner with her friends, talked and laughed, great times. I learned to navigate the subways independently (thank you Moovit!). I organized extra excursions for myself, and completed them successfully. 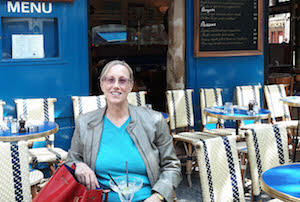 I enjoyed getting around much of Paris as well as discovering Francoise’s beautiful neighborhood. All of my French skills improved during my 2-week immersion program with Francoise. Expressing myself verbally was the most challenging, but even that became less frustrating. Now it is up to me to continue studying when I return home to absorb and use what I have learned. 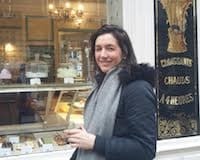 I would definitely recommend Francoise’s immersion program to anyone who wants an educational, local experience in Paris! 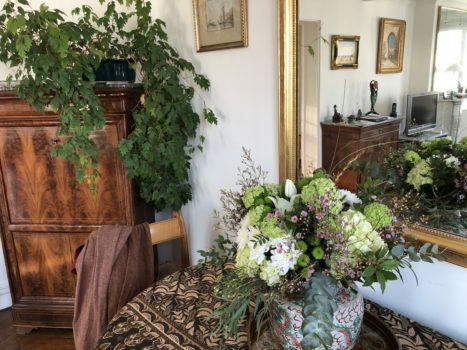 My immersion stay with Françoise in her lovely Paris apartment both fulfilled my expectations and provided some pleasant surprises. The two weeks were punctuated by visits to parks, museums and, per Francoise’s suggestion, a couple of great movies. I enjoyed the shops and restaurants in her neighborhood and was delighted to have her point out the many hidden gems on our excursions to other areas like Belleville with which I was unfamiliar. The one-on-one speaking time with Françoise was definitely the highlight of my trip. Conversing non-stop in french with her was exactly what I was hoping for. It was really these daily conversations that I found especially satisfying. She quickly identified patterns of errors in my speech. Some habits are hard to break but her explanations were clear and helpful. A terrific teacher. After two days of journaling in English, I found myself writing in French without thinking about it. Beyond these learning moments, Françoise took the extra time to research and find tickets to some very special concerts as well as a cooking class for me en français. I also had the unique opportunity of accompanying her to cast her vote at the first round of the presidential election. Later that evening we watched and discussed the results. Génial! Practically speaking, the apartment is just like the photos – light-filled and comfortable, with great wifi. Did I mention what a wonderful cook Françoise was? She seemed to prepare an ongoing variety of delicious meals with such ease, but I do know that she put a great deal of thought and effort into all that she did . She introduced me to the dish called “boudin” and pointed out the strawberry “gariguette” at the Marché Batignolles which were ridiculously good. What pleasant surprises. 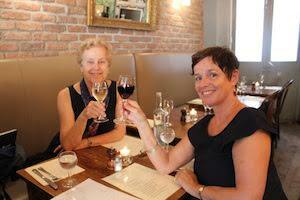 And, I especially enjoyed the evening when two of her friends joined us for a great meal and wine. Talking, laughing and eating with Françoise and her friends. What could be better?! Thank you, Françoise, for all your extra efforts. You are truly a gifted host and teacher. Quand je me préparais à partir, j’étais extrêmement nerveuse à l’idée de voyager dans une ville étrangère pour rester avec quelqu’un que je ne connaissais pas. Je n’ai pas besoin de m’inquiéter. Françoise était très sympa et elle m’a accueilli chez elle comme une amie. Le premier soir elle m’a montré son quartier « les Batignolles ». 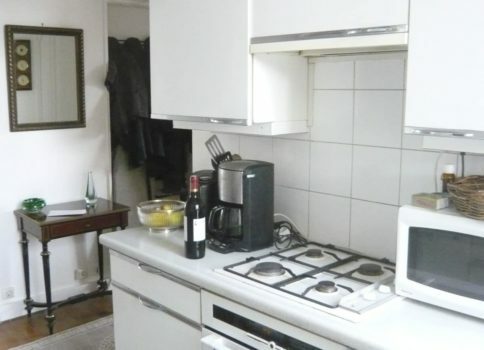 Ensuite, nous avons parlé de la semaine à venir avec un délicieux repas et un verre de vin. Françoise a conçu le cours autour de ma capacité et, chaque leçon était amusante et stimulante. Pendant la semaine je pouvais voir Paris comme une parisienne, parfois avec Françoise et parfois seule. 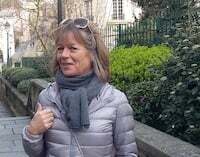 Françoise a suggéré des lieux de visite que les touristes manquent souvent, comme le musée Jacquemart-André, le cimetière de Montmartre et les hôtels particuliers du Marais. Je lui avais dit qui j’apprécie la musique et elle a trouvé un concert gratuit de basson et piano au Petit Palais. C’était chouette ! Françoise est une très bonne cuisinière et j’ai maintenant plusieurs nouvelles recettes. J’ai également pu rencontrer certaines de ses amies et de pratiquer mon français dans une cadre social pendant le dîner. C’était une très bonne semaine et j’ai appris beaucoup. Merci beaucoup Françoise. Thank you so much for a wonderful week learning French, and experiencing french culture in Paris. Batignolles is the ideal place to become immersed in Parisian life and experience the different quarters with wonderful architecture, restaurants, shops and the buzz of daily life. Françoise is a wonderful cook and I enjoyed some of my favourite food at her wonderful apartment ( canard, saumon en croute). She skilfully picked up on my gaps in french and wove the grammar and vocabulary into the lessons making them topical and relevant to many of the fascinating contemporary sites we visited on our excursions. 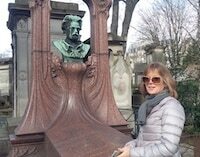 Françoise took me to some of the less well known places that Parisians frequent, and advised on suitable trips to help with my love and study of Art History, for example the wonderful old cemetery in Montmartre and the and the Musée Jacquemart-André. The latter is not well known in the guide books and less frequented by tourists, but it is a real gem with a wonderful art collection. Thank you again for a wonderful stay and for being such a good host. I hope to be back! I had a wonderful experience staying with Françoise. Her apartment is very well situated, in a safe area with plenty of shops and restaurants, directly beside the bus stop and close to the nearest metro station. As a teacher she was friendly and encouraging, tailoring the classes to my level and pushing me while ensuring that the lessons were always relaxed and enjoyable. She provided lovely vegetarian meals, even inviting her friends to dine with us to allow me to speak and hear as much French as possible, so that by the end of the week my confidence was greatly improved. The one on one lessons made for quick progress, as they were focused to my personal weaknesses. The excursions were the highlights of the week, as being introduced to Paris by a local allowed me to discover the city in much more depth than I could have on my own, and she tailored these excursions to complement my university studies, which made them all the more engaging. These excursions also allowed me to implement the new vocabulary and grammar structures that we had learnt, enabling me to see my progress straight away. The location of her apartment gave me complete freedom when I had time to myself and I visited many beautiful areas of Paris by myself, including the Louvre, Eiffel Tower and Notre Dame. Although these trips were unaccompanied, Françoise made suggestions of places to visit that might interest me, so I could explore museums and areas that I wouldn’t otherwise have found, meaning that I was able to experience Paris beyond the typical tourist areas. 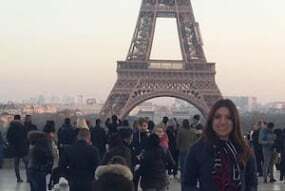 All in all, this experience improved both my ability and confidence with French speaking and introduced me to the beautiful city of Paris from an inside perspective. The immersion aspect made it much more effective and fun than regular French language classes and I would definitely recommend this to anyone looking to learn about the culture alongside the language! 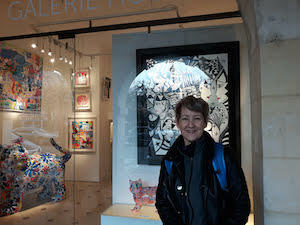 Francoise was very welcoming and relaxed. Over a glass of wine and a lovely supper we found out a little about each other and what sort of shape the week would take. Francoise very kindly had taken on providing vegetarian meals for me; we would have structured classes every day followed, some of the days, by an excursion and other times I would be left to my own devices to explore this amazing city. Although, as warned in advance, Francoise’s apartment is on the 5th floor, it is a beautifully appointed space, with light streaming in from all sides. It is very quiet and I was barely aware of the neighborhood noises humming away beneath me. My bedroom was small, but entirely adequate and I slept incredibly well in the lovely comfortable bed. I felt as though I was eased in gently as Francoise found out exactly how bad I was and adapted accordingly. Lessons were always interesting and tailored to my level. Everything was done in a relaxed manner and Francoise had lots of different exercises to push me along and to ensure that I understood a concept. Our excursions were such a great way to find out more about Paris. 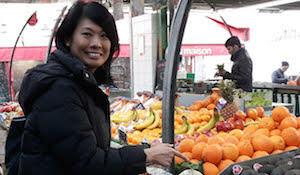 Francoise lives in a residential neighborhood with lots of little shops and restaurants with a lovely lively ambiance. I was taken to the local market where we chose items for our meals and to various other shops for whatever else was needed. After a couple of days I really relaxed into my new life. I was taking buses here and metros there – all guided by Francoise. I went to museums, art galleries, beautiful squares and gardens – every day had a different challenge and was always absorbing. On a personal level I became completely immersed into life in Paris. I felt as though I was staying in a friend’s apartment. I was included in whatever Francoise had to do on a particular day; I met some of her friends and had a thoroughly enjoyable week. From an improvement level it’s hard to judge – how bad were you before – how good are you now?? What I do know is where I need to work harder to understand various concepts. I have all my notes and written work to revise and make sure I don’t forget what I learnt. I also felt so much more confident after my week. Whereas before I worried that no one would understand what I was saying, I was eased out of my comfort zone and made to read and talk and answer questions all of which helped build my confidence outside the cocoon that was Francoise’s apartment. I am now much more aware of what I need to do and why I need to do it. I feel much more motivated to build French study into my weekly life. I am hoping to return again next year and to have completely incorporated all that I have learned and to continue learning with French Today. I can completely recommend this method of learning for anyone seeking to improve their French. I can also completely recommend this method for taking you out of your comfort zone and embracing a completely different life in a different language – I feel completely invigorated by the experience and am looking forward to understanding more. I had a fantastic stay with Francoise! Francoise was excellent – and I am so very grateful to her for her warm hospitality and great teaching. It really was such a great week. I thoroughly enjoyed my course and I would highly recommend Francoise. I spent just four days with Francoise, in her really very nice French apartment. 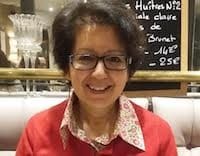 I wanted to kick-start my drive to improve my French in the intermediate rut it has been in for years – Francoise certainly helped me to do that. She was very good at gauging my level and tailoring our daily lessons to fit. I learnt plenty of new vocabulary and revisited forgotten grammar. I was well-fed with good, nutritious food, in a warm and comfortable with good wifi connection. The trips to the fish market, a meal in a restaurant, the Montmartre cemetery and a general exploration around the back streets of Montmartre were fascinating. All in all a very good experience – shame I couldn’t stay longer.